I now live rent- free in Belgravia. It is a temporary arrangement while we are buying a new home. It is quite a wonderful life, living in Zone one – Central London. Also, living among upper middle-class took some getting used to – it’s just a little different. Walking distance to Hyde Park, Soho, Battersea Park – it is quite an adventure just living in a different part of London. Eight years ago, we (my husband and I) did someone a good turn, and he is now returning the favour. How we came about living here? We sold our flat in Deptford (London zone 2); we decided it would be a cleaner transaction to sell to be in a stronger position to buy. We found we weren’t being taken too seriously as buyers, with a flat on the market, even with a buyer for our flat in sight, so we took the plunge – put our stuff in storage and moved out. It worked, and we got bumped to the top of the list when we liked a flat on the basis that we were 'highly proceed-able' buyers. We lived almost mortgage-free in our old flat. It was a modest two bedroom, ex-council flat; and I was very proud of it. We bought it in March 2009 when banks weren’t lending readily in the Uk, due to the housing crisis. We had to put down a 25% deposit, which back then was quite a stretch. As the deposit mainly came from my savings, my husband decided to pay off the mortgage, as his contribution with early repayments. Caveat: this isn't what I'd necessarily recommend as there are better places to stow your cash, especially when interest rates are so low. Towards the end, our monthly mortgage was £86 per month & we owed less than £20,000 on it when we moved out. Having a small mortgage was quite thrilling! I will miss that little mortgage payment. Living in London means one spends an extraordinary amount of income through rent or mortgage payments; so, we were incredibly grateful, albeit we chose to live in humbler digs. The flexibility with our disposable income meant that we could travel a lot. I could start my own business without worrying about a mortgage, we could invest quite a bit each month & give money to charity. I thought I would miss my old home or all my stuff in storage like my Vitamix and books. Strangely I don’t. Human's are remarkably adaptable, I guess. 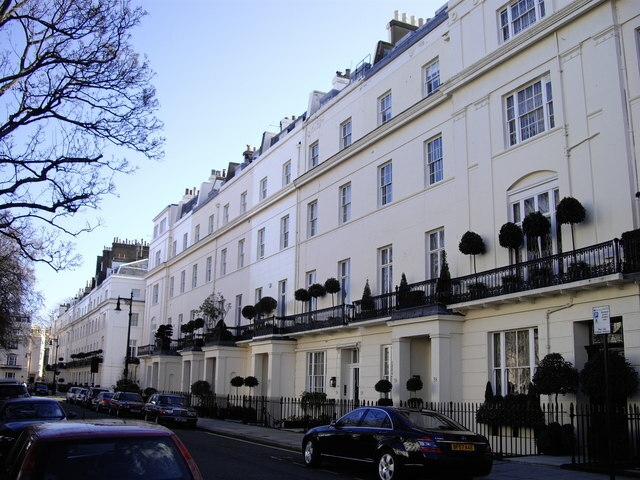 It’s a better deal, living rent-free in Belgravia & feels like a mini-London vacation. Though they say, fish & friends smell after three days; we are looking to exchange on our new home soon, we are mindful of not overstaying our welcome. And then back to normalcy with a normal-ish sized mortgage again – sigh! As Londoners (& this is true of other areas too), we spend a considerable portion of our earnings on mortgage payments or rent. However, is this at the expense of other lifetime plans such as funding a pension or for some, having greater freedom? It’s a tough balancing act.